Caribbean Lifestyle Media-Bugle recently toured Canada-now has his sights set on the United Kingdom (UK). Bugle is said to be doing a nine day tour, bringing in the New Year in the UK. The tour starts December 26th, 2009 through to January 4th, 2010. In Canada Bugle share the stage with fellow Dancehall acts Charly Black, Demarco, and Konshens. 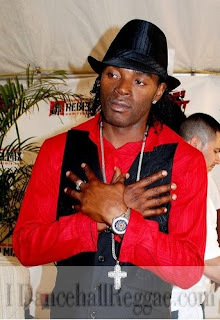 Bugle stated “I am more than energized and ready to bring a good vibe to my fans in the UK”. Bugle will be at the Malcolm X Center on January 1, 2009 and you can check your local listing for other dates and places.